iiPay operates, quite literally, all over the map. With clients in more than 150 countries we are uniquely positioned to understand the payroll challenges that global organizations face. The iiPay solution has been deployed across 15 countries in North America and the Caribbean. The iiPay solution has been deployed across 22 countries in the Asia-Pacific region. 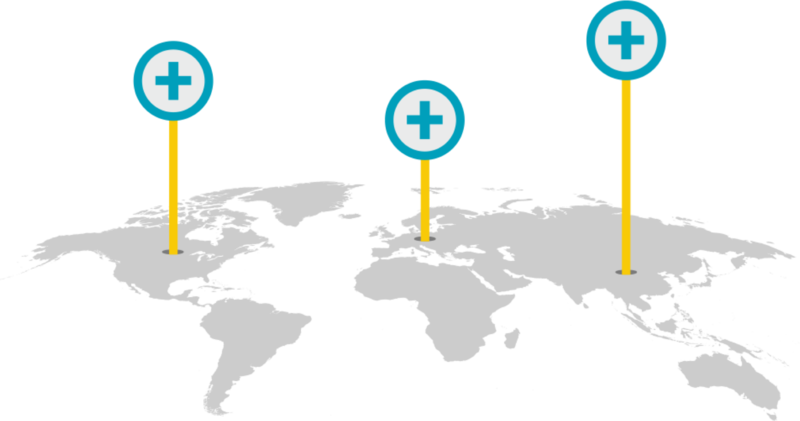 The iiPay solution has been deployed across 98 countries across Europe and the Middle East. The iiPay solution has been deployed across 17 countries in Latin America.